Film-Arcade.net: Lantica Media and Sobini Films Announces "Zorro Reborn"
Lantica Media and Sobini Films Announces "Zorro Reborn"
Lantica Media and Sobini Films recently released information for their upcoming film "Zorro Reborn". The film reboot of the wildly successful film franchise based on the beloved masked character and takes place in the future. "Zorro Reborn" stars principal photography in March. Lantica Media and Sobini Films announced today that they have partnered to produce Sobini’s Zorro Reborn project. Lantica Media will finance the film which is due to begin principal photography in March 2016 at the Pinewood Dominican Republic Studios. Zorro Reborn is a reboot of the wildly successful film franchise based on the beloved masked character. Pantelion Films will handle international sales. The deal was announced jointly by Lantica Media’s CEO Antonio Gennari and Sobini Films’ Mark Amin. Set in the near future, Zorro Reborn is the re-imagining of the classic legend which will take audiences to a new and visually exciting world. International sales will be launched this fall in Toronto by Anne-Marie Ross, President of International at Pantelion. “Zorro Reborn offers a unique opportunity for international distributors to come on board an action film with a brand that is already a household name worldwide,” said Ross. Veteran producer Amin, whose credits include Good Kill and Frida, will produce the film with Albert Martinez Martin overseeing production for Lantica Pictures. 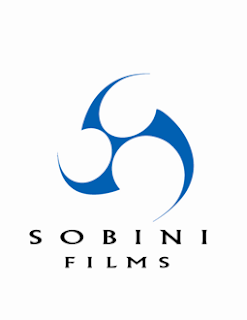 Cami Winikoff and David W. Higgins are set to executive produce on behalf of Sobini.